"Is there any way to download video from Facebook for free? 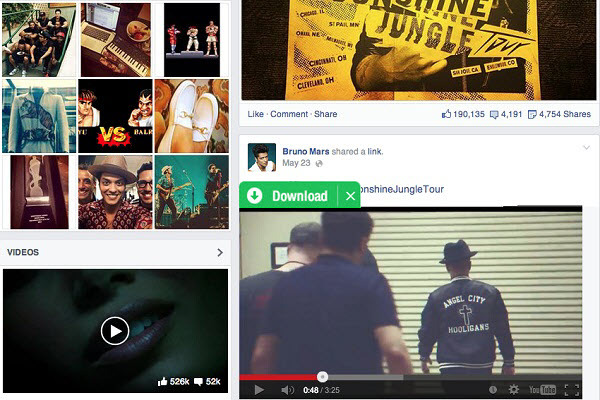 What is the best Facebook video downloader?" If you are looking for a way on how to download videos off Facebook, here is the right place for you. In this article, we will introduce you to top 15 Facebook video downloader to help you to download Facebook videos to your iPhone, Android, Mac or PC, as well as a step by step guide on how to download videos from Facebook. Just choose your favorite Facebook video downloader to download and enjoy any Facebook videos at anytime and anywhere. iTube Studio Facebook Video Downloader can be the best Facebook video downloader allowing you to download and convert Facebook videos into different video and audio formats. The compatibility of iTube Studio Facebook video downloader spans far beyond Facebook and YouTube, as iTube Studio users can download videos from over 10,000 online video sites. Users can also download an entire YouTube playlist or YouTube channel or save YouTube to MP3 with the click of a button. This Facebook video downloader is also a video converter, which can help you convert your media files to other video and studio format to fit for mobile devices. Download any video from Facebook from URL or Extension plugin with one click at 3X faster speed. Apart from Facebook video download, support to download from other 10,000+ sites. Support to download multiple videos at a time and schedule the batch download. 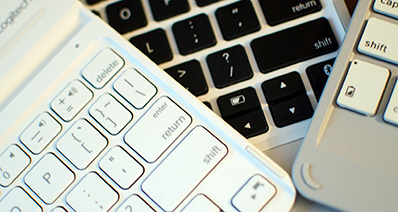 Convert videos to any video/audio formats, or directly to presets for mobile devices. Built-in video recorder allowing you to record videos from unable to download video sites. Transfer downloaded Facebook videos to portable devices with USB cable easily. Private Mode to download private Facebook videos or Vimeo private videos with a password protected. First, download and install iTube Studio video downloader for Facebook. After you install the Facebook video downloader, it could be automatically launched. 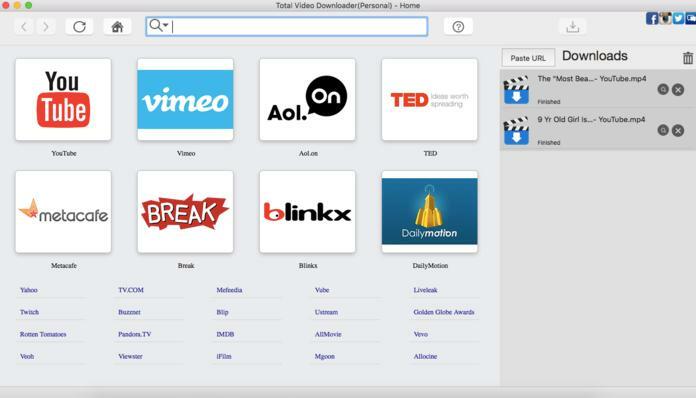 Launch Safari, then go to Facebook and find the video you want to download. When you play the video, a "Download" icon could appear on the top left corner of the video (takes YouTube for example). Now click the "Download" button which has already appeared on the top left corner of the video to download Facebook videos. Copy the Facebook video URL from browser's address bar, and go to the Downloading menu to choose Paste URL. Directly drag and drop the URL to the dock icon of this Facebook Video Downloader. Tips: you can search for more interesting videos on Facebook by leaving the Facebook video Downloader running at background. When you find another wonderful Facebook video, you can save Facebook videos to your Mac it in the same way. If you want to have a look at the downloaded videos, you can go to the Downloaded tab, and double click the video to play it. If you have previously downloaded FLV or MP4 videos to your Mac, you can easily manage these videos by going to the File menu and choosing Import to select files in the pop-up dialog. Since you have already downloaded a batch of Facebook videos, you might like to watch them on some portable devices, like iPod, PSP and so on. In that case, you can to convert the downloaded Facebook videos into other formats, like MP4, AVI, MP3 etc. If so, you just need to go to the Downloaded tab, and then click the Convert button to do the conversion. Once downloaded the Facebook videos, click the Downloaded tab to locate the videos. Add the preferred videos to conversion list, which offers a preset for your iPhone. Then turn to the Convert tab on the left panel. Next, switch to the Transfer tab, sync your iPhone with your Mac or Windows PC, all the downloaded Facebook videos will be sent to your iPhone within seconds. XYDownloader is a fast Facebook video downloader allowing you to download videos from Facebook, YouTube, XVideos, Dailymotion, tube8, Break, YouPorn, and 1000 more sites. You can download multiple videos and set your computer in sleep mode or auto shutdown. And XYDownloader provides you with several video solution options allowing you to download videos in high quality. 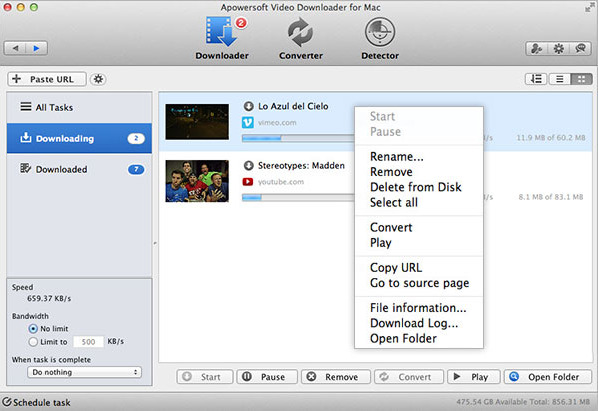 XYDownloader is also a video converter that allows you to convert the downloaded videos to any video/audio formats. It comes with optimized presets for iPhone, Android and other portable devices so you can enjoy the downloaded Facebook videos on the go. Developed by Bigasoft Corporation, the program's extensive language support makes it an ideal option for users who speak French, German, Italian, Chinese, and Japanese. With a one-time fee of $19.99, users will gain access to HD download and video conversion support as well as download access to sites ranging from Facebook to the BBC. 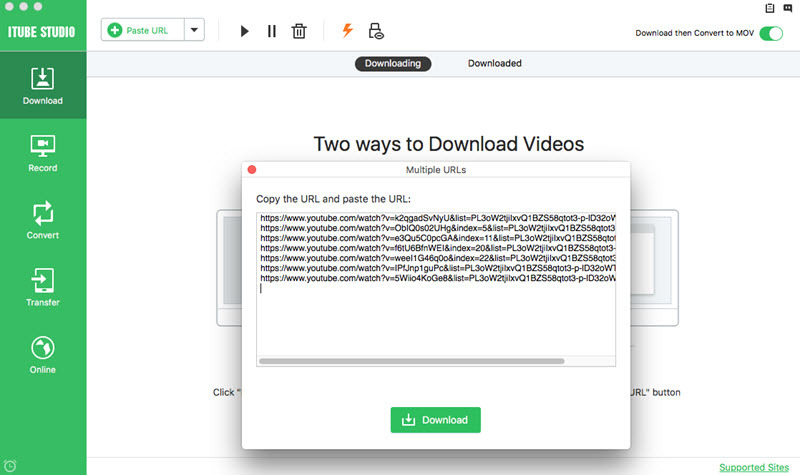 From GreenTree Applications SRL, the YTD Video Downloader's Pro version offers users the opportunity to batch process multiple downloads at once. Not only that, the program offers download access to websites ranging from Youku and Facebook to YouTube. Users can also download files in HD format and later convert them into MP3, MP4, AVI, and MOV formats. Provided by Kigosoft, this Facebook downloader for Mac is an ideal option for users who are looking for download access to over 1000 sites. With 2D to 3D conversion, 4K, 1080p, and 720p support, and AVI, MP4, and 3GP conversion support, Kigo Video Downloader remains one of the most versatile options on the market. The program also removes unwanted advertisements from the video by separating each section of the file into fifteen second segments. 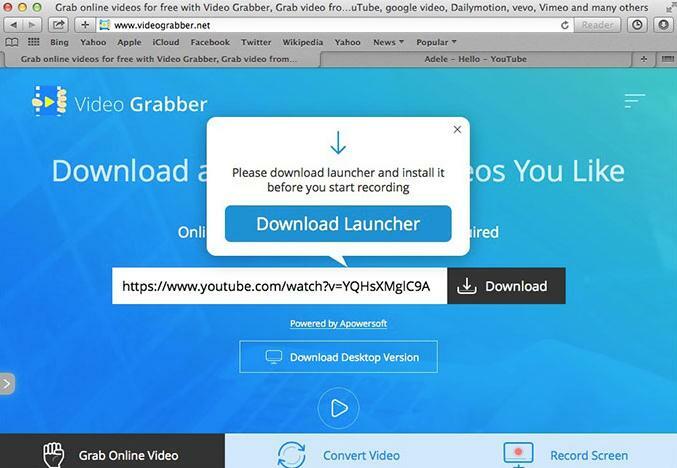 Video Grabber is a free Facebook downloader that offers users the opportunity to convert videos into MP3 formats for easy audio listening support. With Mac OS X Maverick 10.9 native support, every Macintosh lover can take advantage of the program's integrated search engine. You can use this application to download videos from Facebook with ease. It is fully compatible with all popular browsers such as Firefox, Google Chrome, Internet Explorer and Opera. The video downloads are processed in a smooth and easy way. 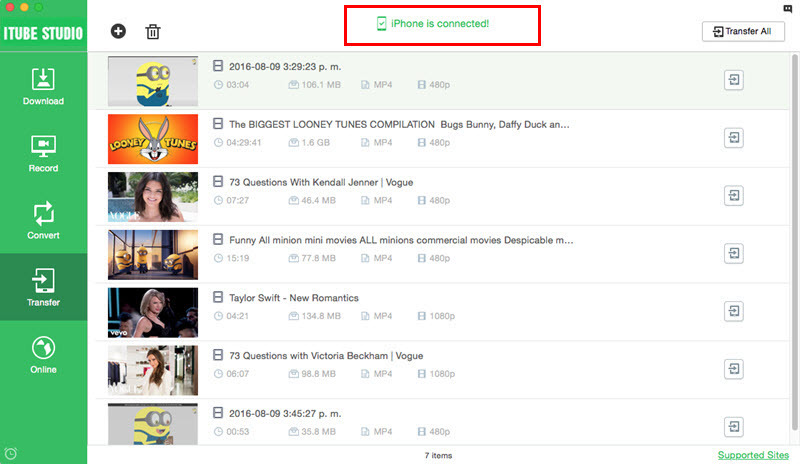 The downloader comes with a search function that will help you spend less time searching through your videos. It is very easy to use from the word go. 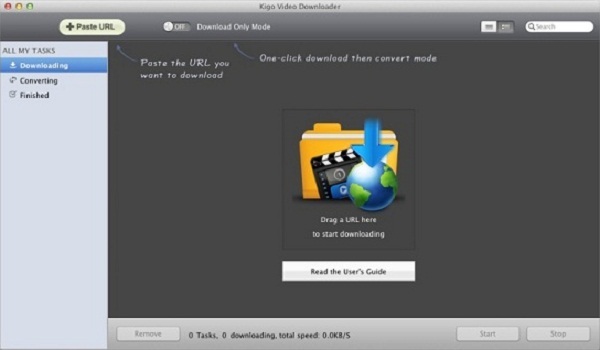 With this downloader, you can download pretty much any video from any video hosting site. It features an embedded browser window that allows you to search for videos directly and securely without necessarily using a different web browser. The interface is very user-friendly and easy to use. You will not need to install any codecs or add-ons to the main browser to be able to use it. The downloader also features a video converter that you can use to convert the downloaded Facebook videos into any format of your choice. It will be easier to download Facebook videos and watch them at a later time or date with this application. 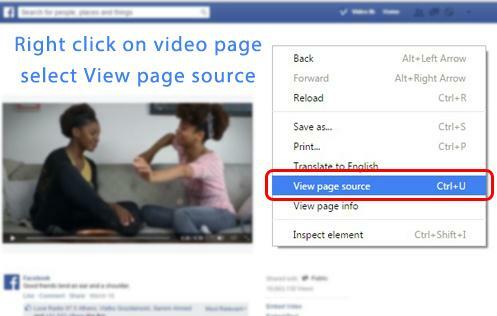 It not only allows you to download videos from Facebook, but also from many other popular sites at a click of a button. It supports multiple embedded file types. It comes equipped with very simple search functions that allow videos to be retrieved once the download process is complete. If you want, you can download videos in a batch using this application. It is said to be faster as compared to similar applications. 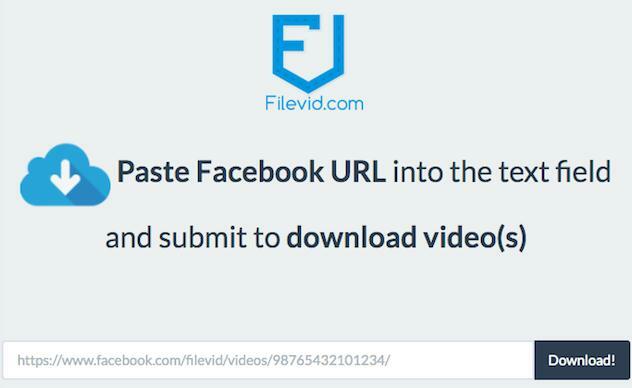 This is a handy tool that you can use to download and save videos not only from Facebook, but also from many other video sharing sites such as Vimeo, YouTube and Metacafe very easily. You can use it to download videos in multiple formats. It has a quick installation and user-friendly interface that gives you a handy way to download Facebook videos at a faster speed. The history of the downloaded videos is kept just in case you find it useful later on. It also allows you to customize the target videos by setting the video resolution and format. Downvids.net is an online free Facebook video downloader, which allows you to download Facebook videos by copying and pasting the video URL to the site. There are different video resolution options from 480P to 1080P. While there are so many video source checking steps before you can download the video. That means if the video is not from your friends, you are not able to download it. 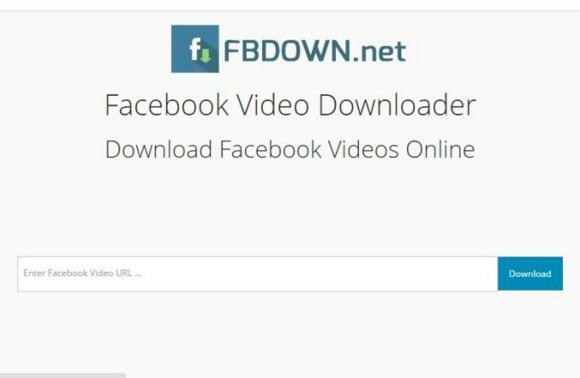 Fbdown.net is only support downloading Facebook videos online. You can copy the Facebook video URL of your friends, and then paste the URl to the site for checking. If it is from your friends, you can process the video download. Savefrom.net is a popular online video download tool that allows you to free download videos from Facebook and other sites. Only 3 steps is needed to download videos. First copy the Facebook video URL, and nevigate to Savefrom.net to paste the video URL to the black search box, and then click Download to process the video download. Downloading videos that you play on Facebook will be very easy when you use this online Facebook downloader. It allows you to download the Facebook videos in high quality format so that you can enjoy watching them offline even when you do not have access to the internet. It is a website that is completely custom coded and you can use it without wasting time or installing any software. It is completely free. 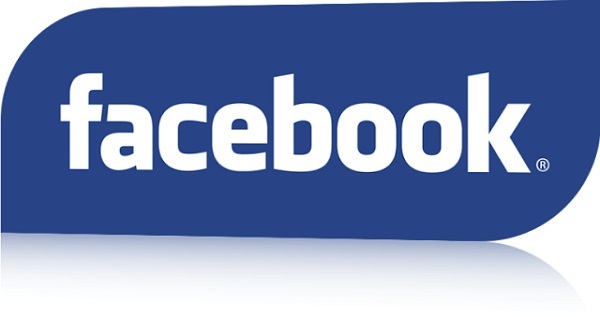 This is an online tool that allows you to download Facebook videos free of charge online. All you need to have is the Facebook video link. When you past the link in the video-fb’s search field and then click on "get link", you will be redirected to page where you will download the video from. You can also use it to download Instagram videos. If you are a Facebook addict, then you might have the impulse to save Facebook videos shared by your friends and family for storage purposes or future entertainment. With the booming popularity of Facebook, internet is teeming with interesting videos shared extensively. You will find many of your friends updating their statutes with videos that lure you to an extent that you want these videos to grace your PC or Mac. Today, I will share two ways to save any of your chosen videos from Facebook directly with much ease. 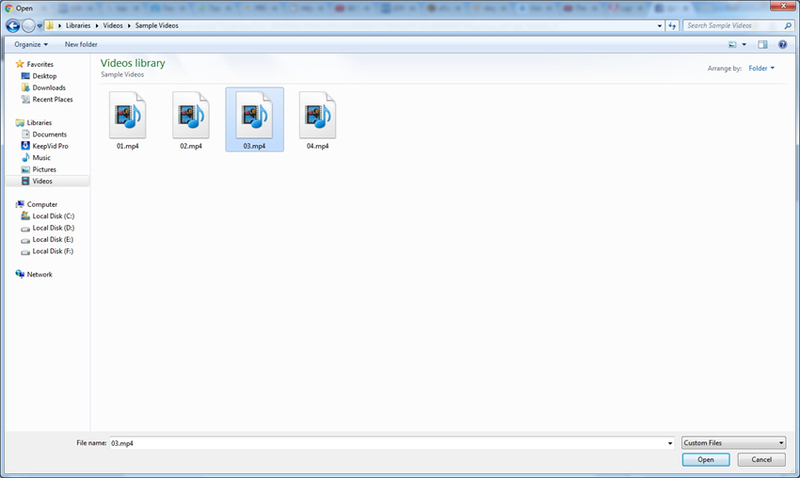 Option 1 - Some of the programs such as Facebook video downloader are designed for the said purpose. Not only is it a powerful Facebook downloader making it easier to save any of the videos from Facebook to Mac but can also convert any of the saved Facebook videos to numerous other popular devices or formats. Option 2 - Another way is to use any of the websites offering online video saving option, but it might fail at times owing to slow speed of the network. Simply enter the URL of Facebook video that you want to save and tab on 'Save'. So, here you are with your favored Facebook video onto Mac in just no time. The applications are also one of the handiest platforms that could be used to get the work done. The user needs to download the application and just a few hits are required to perform the job. HD video downloader that has been developed by New Essence for the major mobile platforms i.e. 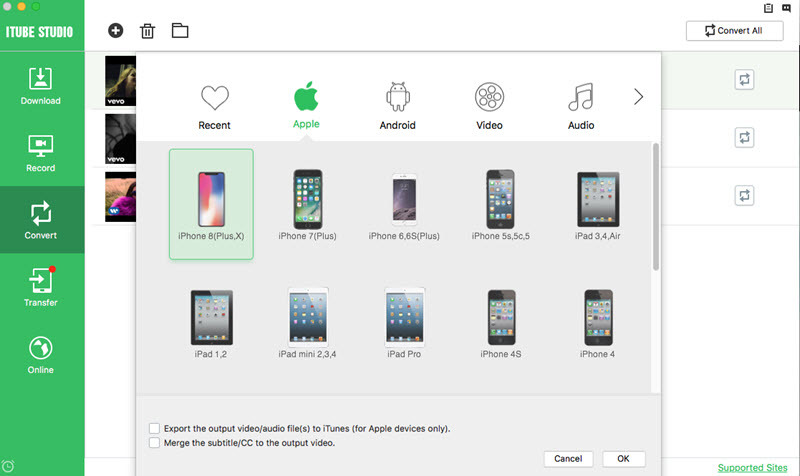 Android and iOS, is one of the kinds of program that leads a user to download the videos without much hassle and issue. The process as well as the overall layout of the application is user friendly and therefore it is highly recommended. The user can download not only the videos but also the clips as well as those pieces that are geographically restricted. 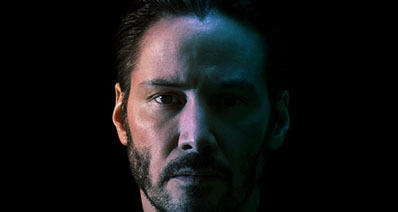 The download speed is faster. The application has a sleek outlook and it is easy to use. The downloading log as well as the history is maintained for future use. The quality of the videos are not good.